Can You Go to Canada with a PA ARD? Individuals arrested for driving under the influence of alcohol (DUI) or other misdemeanor crimes in the State of Pennsylvania may be given the opportunity to participate in a special pre-trial intervention program called Accelerated Rehabilitative Disposition or ARD. In order to be accepted into an ARD program you must have no previous criminal record, and participants are typically required to complete community service and attend a substance abuse course (DUI/DWI), anger management (assault/battery), or pay restitution (theft/shoplifting). Similar to probation, Pennsylvania ARD programs place people under the supervision of the district attorney's office to ensure good behavior. Although applying for a PA ARD does not involve pleading guilty or admitting to any wrongdoing, individuals enrolled in the program may be inadmissible to Canada. There is no assumption of innocence when it comes to crossing the Canadian border, and Americans can be considered criminally inadmissible to the country immediately after being arrested by Police until such a time that they can prove a favorable outcome to immigration officials. This means that anyone with a DUI ARD in Pennsylvania, or another type of PA ARD, can require a Temporary Resident Permit or Criminal Rehabilitation to visit Canada until they have successfully completed the curriculum and have documentation proving this fact. Whether or not the status of the ARD case is "adjudicated" or "finding of guilt withheld", anyone enlisted in an Accelerated Rehabilitative Disposition should speak to a lawyer before attempting to cross the Canadian border. Even after a person finishes a Pennsylvania A.R.D. program they risk a Canadian entry denial unless they can prove their admissibility to border agents. 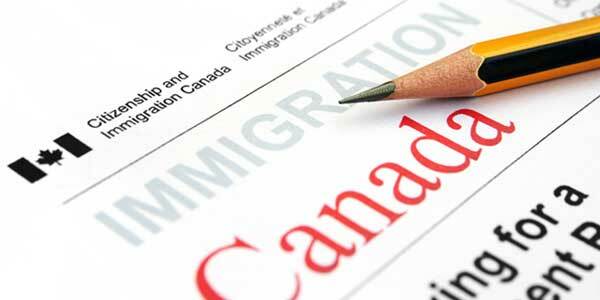 For this reason, many ARD graduates obtain a legal opinion letter from a Canada immigration lawyer to ensure they do not run into problems when crossing the border. Canadian immigration officials can often see an American's initial arrest, but will not always be aware that he or she has gone through an Accelerated Rehabilitation Disposition (ARD) intervention program which can make them appear inadmissible due to criminality without further information available. To learn more about going to Canada with ARD, phone us now for a free consultation with our legal team.